If you are like many people, you probably think a trust is what rich people use to make sure their children never have to work. Though there is a kernel of truth to this idea, it doesn’t do trusts much justice. Inheritance planning is probably the main reason people create trusts, but that doesn’t mean that only the rich should consider them. In fact, trusts are not just for the wealthy, nor do they only exist to provide an income. Trusts are powerful tools that serve multiple purposes and can benefit anyone interested in protecting their finances or their future. Some of their more common uses include minimizing probate, protecting family members and loved ones with disabilities, and providing charitable gifts. For example, if you have a daughter with disabilities, you can use a trust to provide for her financial needs while ensuring that she’s still eligible for government benefits. You can also use a trust to keep your inheritance wishes private, as well as make sure that someone responsible has the authority to manage your affairs in the event you lose the ability to do so. Unfortunately, because there are so many different types of trusts available – and so much confusion that surrounds them – most people never consider creating one. But taking the time to educate yourself about foundational concepts can help you determine if creating a trust is in your best interests. A good trust (or two) can provide benefits and abilities that other legal or financial tools cannot. Trusts are often a included as a part of estate planning because the two areas merge so well together. A comprehensive estate plan typically includes at least one, and often two or more, trusts as key components. Financial plans also often rely on trusts to achieve specific objectives, or to provide protections not otherwise afforded by other tools. However, by itself, a trust is neither an estate nor a financial plan. Trusts should only be used for focused purposes, not as catchalls that protect all of your interests. Further, because there are so many trusts available, and because determining which trust might fit your individual needs takes a lot of knowledge and experience, you should always talk to an experienced trust attorney or financial planning expert before you make any decisions. Understanding how a trust works and what they do is important, but it’s not enough to become an expert. Finding a qualified financial advisor with whom you can discuss which trusts you might need and what you need to do to create them is always your best option. Trusts are often hard for people to understand because they are not tangible, nor easily definable. A trust is often described as a relationship between people and property, or as a way of transferring property, but those descriptions can be more confusing than helpful. Instead, it is often easiest to think of a trust like a small corporation. Like corporations, trusts exist in a legal sense, in that the law recognizes them as being independent legal entities apart from those who create, own, manage, or work for them. There is no single person or place that represents a corporation, even though that corporation may have employees or managers, and physical offices and other property that it might own, rent, or lease. Similarly, trusts don’t have a physical existence, though they do exist as legal entities. Also, like corporations, trusts have the ability to do things that individuals cannot do. For example, trusts, corporations, and people can all own property. But, trusts and corporations can continue to exist and own property even after the person who created them dies (this is why trusts are so often included as a part of an estate plan). These abilities give trusts some significant advantages and options that simple property ownership otherwise does not provide. In short, a trust is much like a small, narrowly focused corporation, and owning or creating a trust gives you, as an individual, more options than you might otherwise have. For example, a trust can allow you to control what happens to your property for decades after you die. 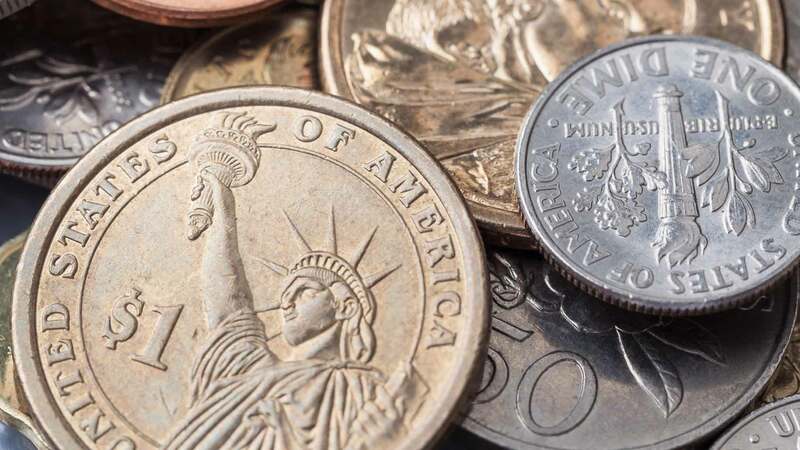 Some trusts give you the ability to lessen taxes that non-trust owners might otherwise have to pay, or allow you or a loved one to receive government benefits – even if you would otherwise be disqualified because you have too many assets. Trustor. The person who creates a trust is generally known as a trustor, but also as a grantor, settlor, or trust maker. Trustors are a lot like the people who decide to create a corporation: They choose the purpose for which the trust exists, as well as decide what property the trust owns by transferring some of their personal property into the trust’s name. Trustors who create a trust through the terms of their will might also be known as a testator (the one who made a last will and testament) or a decedent. Anyone can be a trustor as long as he or she is an adult (at least 18 years of age) and is mentally sound. Trustee. Someone has to take on the responsibility to manage all of the trust’s property. Whether the trust owns investments, real property, or anything else, the person who manages it is known as the trustee. Trustees are much like the officers of a corporation. 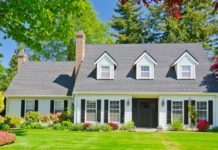 The trustee does not truly own the property the trust owns, but serves as its manager, making sure the property is only used in accordance with the terms and limitations the trustor decided when creating the trust. Some trusts have a single trustee and some have multiple or co-trustees, while some trusts have institutional trustees instead of individual people. A trustee can be any willing and capable adult, as well as an organization such as a law firm, bank, or trust company. Furthermore, many trusts include the name of one or more successor trustees who have the responsibility to manage the trust if the original trustee resigns, dies, or becomes incapacitated. Beneficiary. The person or organization that has the legal ability to use the property the trust owns is known as the beneficiary. Beneficiaries are somewhat like the shareholders of a corporation. The beneficiaries, like the shareholders, do not own the trust property like they do their personal property, and cannot simply do whatever they want with it. On the other hand, the beneficiaries do have the right to receive the benefit from the property the trust owns in as far as the trust allows. For example, if the trust owns a home and has two beneficiaries, the trust might allow those beneficiaries and their dependents to live in the home, renovate it, or otherwise use it in any way they see fit, yet not allow them to rent the property to others, nor sell it and distribute the money between themselves. Some trusts are set up such that beneficiaries stand to inherit (and thereby own) the trust’s assets after a triggering event, such as age or marriage. The “trusts as a corporation” analogy can be extended further to help understand the different categories of trusts. There are several kinds of corporations, such as a close corporation, professional corporation, C corporation, or an S corporation. Each type of corporation has its own particular strengths and weaknesses, and those who want to set up a corporation have to go through different steps depending on the type of organization they want to create. Similarly, there are different types of trusts. Classifying trusts based on how or when they were created, the abilities they have, and the purposes they serve can make it much easier to understand how they work. One way to categorize trusts is by determining when they are created, or when they take effect. Though it might sound counter-intuitive, you can create a trust either while you are alive, as well as after you die. Testamentary Trusts. A testamentary trust, as its name implies, is a trust you create through the terms of your last will and testament. Because your will does not take effect until after you die and a probate court accepts the document as a valid expression of your last wishes, any trusts you direct to be created through the document can only take effect after that. Testamentary trusts are primarily devoted to controlling what happens to inheritances. Living Trusts. Living trusts take effect as soon as you create them. Also known as inter vivos trusts, living trusts have a wide range of uses, such as tax mitigation and asset protection. Another way to categorize a trust is by whether the trustor can change it. When someone creates a trust, that person determines not only the rules or limitations under which the trust operates, but also whether he or she can change trust terms, or revoke the trust entirely. Revocable Trusts. A revocable trust is one that has terms that the trust’s creator can revoke (hence the name) 0r amend. For example, if a trustor drafts a revocable trust and names his child as a beneficiary, she can choose to amend the terms of the trust after the birth or adoption of subsequent children. All revocable trusts are living trusts, but not all living trusts are revocable. Irrevocable Trusts. The opposite of a revocable trust is an irrevocable trust. Once a trustor creates an irrevocable trust, the trustor cannot revoke it or change its terms. All testamentary trusts are irrevocable, as are some – but not all – living trusts. Finally, a trust, like a corporation, can exist for a variety of specific purposes. Some corporations create cars and others devote themselves to charitable causes, while others serve only the members of a specific family. Similarly, trusts serve specific purposes. As long as your trust does not violate any laws, a trustor can choose whatever purposes he or she wants. Taxes. Some trusts can delay, reduce, or potentially eliminate some taxes. For example, the federal estate tax is a tax that applies to the property left behind by deceased people. 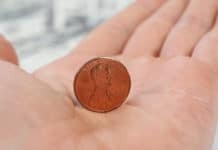 When determining the size of an estate for estate tax purposes, the IRS includes any payout provided by a life insurance policy owned by the decedent. So, to reduce the size of the estate, many people create an irrevocable life insurance trust. The trust becomes the owner of the life insurance policy and its payout, so the value of that policy is not included in the estate tax calculation when the trustor dies. Inheritances. Many people create a trust as a way to transfer inheritances. For example, if you have young children, you might create a last will and testament that leaves those children inheritances to be held by a trust until the children reach a specific age, such as 18, 21, or 30. Should you die, the trust will own the inheritances that the children stand to receive, and will distribute them in accordance with the terms you include in your will. Privacy. A trust is a private document, and one that will not typically become part of a probate case after the trustor dies. The probate process, on the other hand, is a matter of public record. For people who value privacy, using a trust to distribute inheritances allows their estate to stay out of the public eye. Incapacitation. Trusts can be effective tools to protect a trustor’s assets if and when the trustor loses capacity. A trustor can sometimes name him- or herself as the trustee, but can also name a successor trustee. If the trustor/original trustee becomes incapacitated, the successor trustee can easily step in and take over management responsibilities. This eliminates the need for someone to ask a court to name a new person to manage the incapacitated person’s property. Asset Protection. Some trusts can provide asset protection benefits for people concerned that creditors might one day seize their assets. For example, some states allow for the creation of a domestic asset protection trust (DAPT). With a DAPT, the trustor takes personal property and transfers it to an irrevocable trust run by an independent trustee who distributes trust funds to the beneficiary or trustor at the trustee’s discretion. The property held in this kind of trust is then protected from the beneficiary’s or trustor’s creditors, because those creditors are not allowed to take trust property to satisfy any debts the trustor might owe them. Charitable Giving. People who want to provide large gifts to charities often create one or more types of trusts to do so. One popular such trust, known as a charitable remainder trust, takes the trustor’s property, transfers it into the trust, names a charitable organization as trustee, and pays a beneficiary (typically the trustor) part of the income the trust property generates. Then, after a specific amount of time passes (or after the trustor dies), the charity that has been serving as the trustee inherits the trust property. Though the individual steps will differ slightly depending on the type of trust you create, there are some key steps that all trustors must take. A trust comes into existence when the trustor sets out the terms of the trust in writing. The document that contains the terms is typically known as the trust instrument, declaration of trust, or deed of trust. With a testamentary trust, the trust terms are included in the trustor’s last will and testament, while a living trust usually requires its own trust instrument. Trust Description. A trust instrument usually includes a description of the type of trust being created, and the reason the trustor is creating it. For example, the trustor might state that he or she is creating a special needs trust to provide support for his child with disabilities. Trustee and Beneficiary. The trust must name who will serve as trustee, as well as name the beneficiary or beneficiaries. The instrument should also include specific directions about replacement trustees in the event the original is no longer able or willing to serve. Trustee Duties and Abilities. Many of the trust’s terms address what the trustee can and cannot do. These terms address issues such as the trustee’s ability to buy or sell trust property, the ability to distribute trust property to the beneficiary, and what the trustee must do to resign or transfer trustee responsibilities to someone else. Death or Incapacitation. Many trusts include terms that address what happens if the trustor, trustee, or beneficiaries die or become incapacitated. For example, if the trustor creates a revocable living trust, the trust will direct the successor trustee to distribute the property the trust owns to inheritors. Trust Property. Most trust instruments include a list of property that the trust owns. The property (known as the trust corpus) list can be included in the trust instrument, or referred to as a list to be attached or included with the instrument. With the trust instrument in place, a trustor must next fund the trust. Funding is the process of taking individually owned or titled property and transferring it to the trust so the trust becomes the new owner. The funding process is essential. A trust without property is effectively useless, and the only way a trust can become the new owner of the trustor’s assets is for the trustor to complete the funding process properly. Assignment. An assignment is the easiest way to transfer property from an individual into a trust. 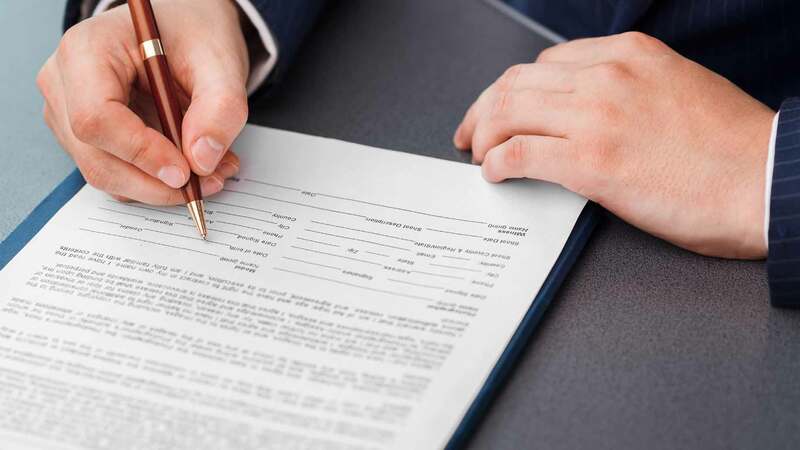 Assignments are usually a single piece of paper that includes a description of the property, the name of the trust, and the name and signature of the trustor. Assignments are typically used with non-titled personal assets, such as intellectual property rights, works of art or collectibles, and family heirlooms. Transfer of Title. Some property, such as vehicles and real estate, are titled in the owner’s name. Transferring these assets into a trust requires transferring title. The title transfer process differs slightly from state to state, but can require, for example, a vehicle owner assigning the car title to the trust by filling in the name of the trust on the back of the state-issued title document, or the owner of real estate drafting and notarizing a new deed to transfer the property into the trust. Transfer of Ownership. Some assets, such as bank or investment accounts, require specific steps as imposed by financial institutions. For example, transferring your savings account to your revocable living trust might require you to contact your bank, fill out a new signature card, or sign additional documents as your bank requires. Beneficiary Designations. Assets such as some bank accounts, investment accounts, and insurance policies typically allow the owner to name a transfer-on-death beneficiary. As with transferring ownership of these assets, naming the trust as the new beneficiary requires the asset owner to comply with the procedures established by the financial institution that holds the asset. This process is usually simple, involving little more than filling out a form. Other Funding Options. Some assets – such as oil and gas rights, corporations or other businesses, some types of retirement accounts, and assets located in foreign countries – require additional or specialized steps before they can be properly funded. Having an attorney guide you through the process of funding these types of assets is typically necessary. The type of trust (or trusts) you might need to create or include in your estate or financial plan depends entirely upon your personal circumstances, needs, and desires. There are dozens of trusts available, perhaps more. Choosing the right one, creating it, and funding it properly all take time and careful thought. Nevertheless, there are a handful of trusts that are more commonly used than others. Revocable Living Trust. A revocable living trust – often referred to simply as a living trust or an inter vivos trust – is one of the more popular types of trusts around today. With a revocable living trust, trustors transfer all, or almost all, of their property into the trust. They also name themselves as both the beneficiary and the trustee. This allows the trustors to maintain total control over all of their (formerly) individually owned property, while also giving them the ability to include inheritance terms in the trust that will apply after the trustor dies. Therefore, with a properly drafted and funded living trust, trustors can often avoid any probate inheritance transfers, as well as the time and expenses that come with them. Special Needs Trust. A special needs trust is designed for children or adults with disabilities. If parents or family members of people with disabilities want to provide that person an inheritance or an income, they can often do so through a special needs trust. Because the trust owns the property and distributes it to the person with special needs, the property the trust owns is not counted against that person when determining eligibility for government benefits, such as Medicaid or Supplemental Social Security Income. QTIP Trust. A popular option with blended families, a qualified terminable interest trust (QTIP) allows the trustor’s spouse to remain in their home for the rest of his or her life after the trustor dies, but does not allow that spouse to sell the home. Then, after that spouse dies, the trustor’s children receive the home as an inheritance. Spendthrift Trust. 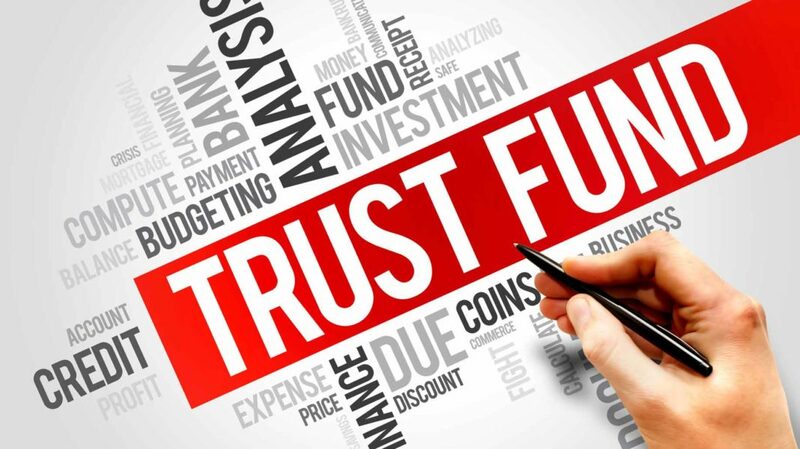 A spendthrift trust isn’t really a specific kind of trust itself, but rather any kind of trust that includes specific language that gives the trustee the ability to limit when he or she distributes property to the beneficiary. 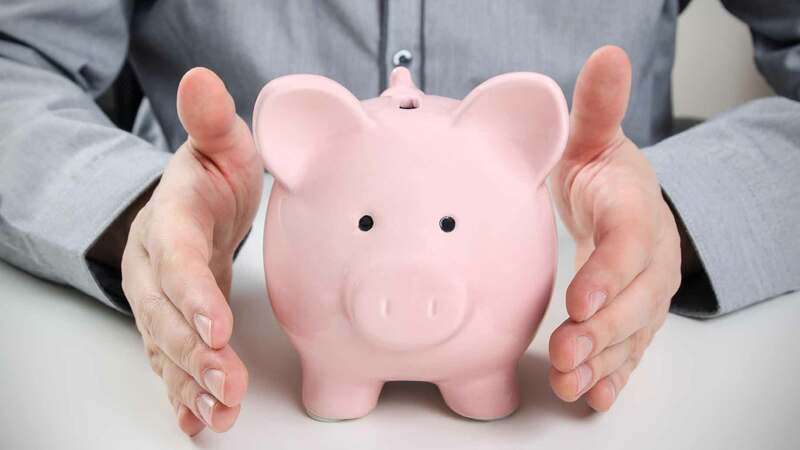 Specifically, a spendthrift trust allows a trustee to withhold distributions if the trustee believes the beneficiary would waste the money, or have it taken by a creditor. Spendthrift trust clauses are often included in asset protection trusts, as well as trusts that pass inheritances on to children or grandchildren. GRIT Trust. There are several kinds of grantor retained income trusts (GRITs) available, but each are designed to provide the same basic benefit. With a GRIT, the trustor (or grantor) seeks to reduce how much the Federal Government values property for estate tax purposes. These trusts effectively give the trustor the ability to earn interest income from trust property while not including the value of that property when it comes time to determine estate tax liability. Because of their power, ability to be customized, and the sheer number of different types available, trusts are a popular tool for people creating an estate plan or seeking financial protections. Yet even in light of the benefits they provide, not everyone needs a trust, nor are all trusts suited to everyone who might need one. The best way to determine whether a trust is something you need is to talk to an expert. A good trust or estate planning lawyer can talk to you about your needs, explain which trusts are available, and help you through the process of creating, funding, and using the trust that fits your needs. Is there something you think a trust might help you with? What is stopping you from creating a trust of your own?